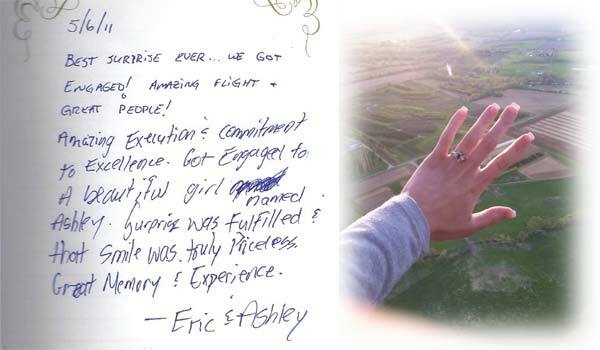 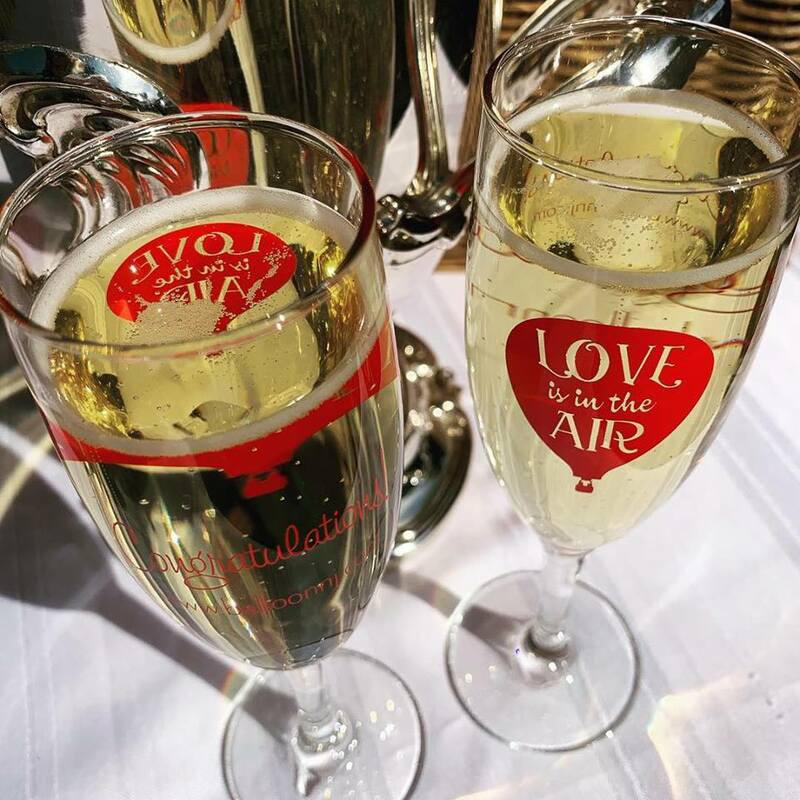 You pop the question in the air and the pilot pops the cork of a bottle of champagne after your flight. 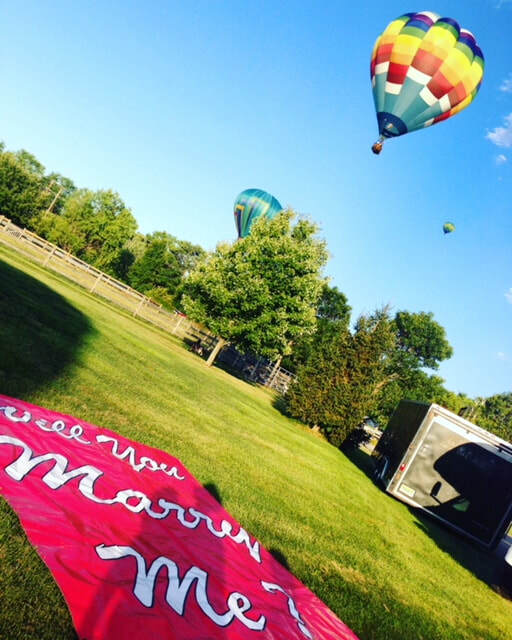 ​A toast to the start of your new life together to be filled with many more adventures! 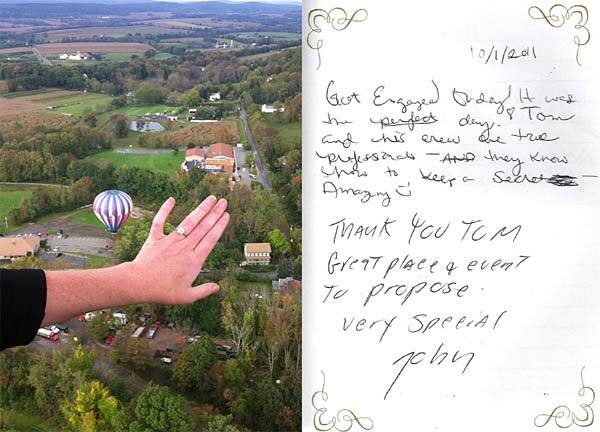 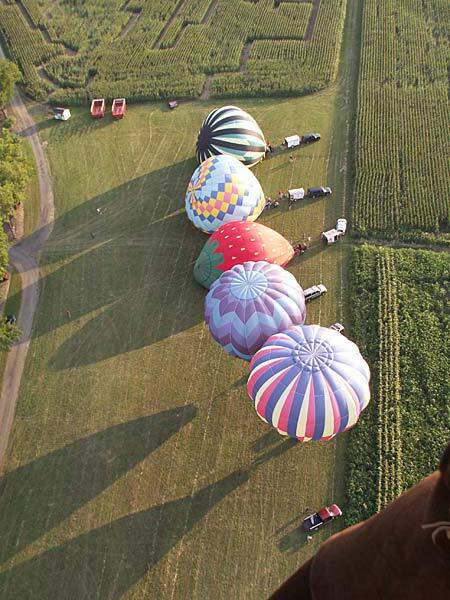 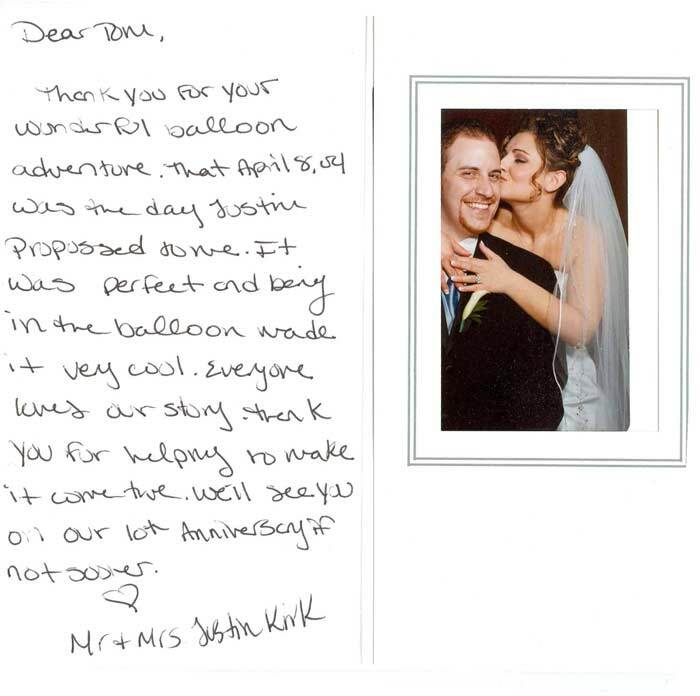 "...Passengers take photos of each other's hot air balloons..."
Your hot air balloon flight will make an unforgettable romantic getaway for that special moment. 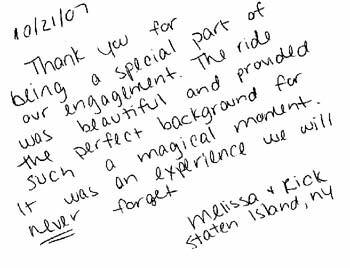 Read what our customers say about their flights below and in our Comments pages (click any for larger view).